Coordinating Oh Deer Cutting Files Are Here! Ready for the latest digital cutting files from Maya Road Kits? We're excited to share six individual cutting file images that coordinate with our most recent release, the Oh Deer Classic Card Kit! These files are so pretty and work perfectly with the kit but will also work for limitless projects to come! Don't you love the classic leaf branch and flower? 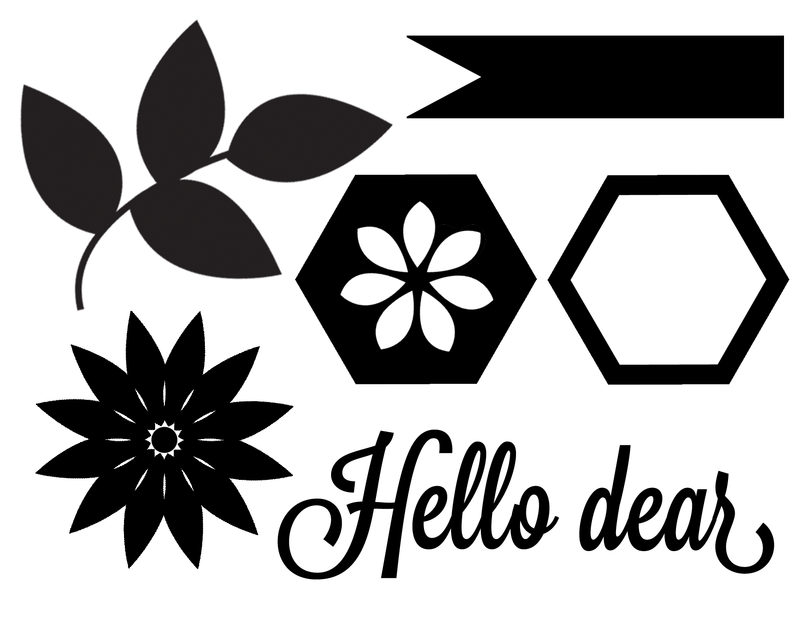 How about the super useful banner pennant or the lovely hexagons? Of course, the sentiment is lovely too! How about a sample design of a card you can recreate using these digital cutting files and the Oh Deer kit? The full instructions can be found here. While you're here, don't forget about the coordinating kit, Oh Deer. 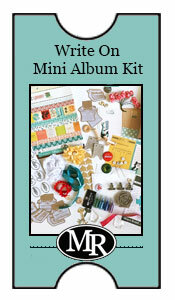 It's stunning with exclusive stamps, flair and a myriad of other wonderful goodies! As it's one of our very favorite kits to date, check it out! Oh Deer is available for purchase here. If you've already purchased our Oh Deer Kit, thank so much! Enjoy the digital cutting files and happy creating! Oh Deer...It's the Last Sneak Peek! Hey Roadies! It's the last day of our Oh Deer Kit release countdown! We can't tell you just how excited we are to be releasing this kit tomorrow. Such a gorgeous kit that we know you're going to love! From stunning flair to fabulous colors, amazing stamps and a myriad of goodies, you're sure to love it! This card design gives you a glimpse at one of our favorite exclusives in the kit. Isn't that wood owl just the cutest?! It comes in natural wood but in this card sample, one of our designers has painted it with a gold paint pen for some extra glam. Join us tomorrow, Wednesday October 1st for our Oh Deer Kit release! Release time is 12 noon EST. See you then! Time for another Oh Deer Kit sneak peek! We're pretty sure you'll be excited about today's peek as it's time to catch a glimpse at our new Oh Deer stamp set. This stamp set is included in the kit and is exclusive to it. You won't be able to find it anywhere else. This stamp set is one of those essentials. We're so excited that you can mix and match up the words to create your own sentiments and it's full of darling little accent leaves and florals. Can you believe that there's 33 stamps in this set? Pretty awesome, right? The Oh Deer Kit releases Wednesday October 1st. That's just two more days! Anyone else excited? How about a little more color in today's sneak peek? 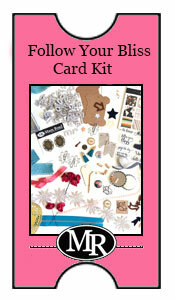 Our Oh Deer Classic Card Kit is FULL of color and is such a gorgeous palette. Oh course, the colors are all on the most lovely prints and according to our sample designers, it's one of their favorite kits to date! How's that for a great endorsement?! We also have a few more embellishments in today's peek. Don't you love those gorgeous floral sequins? And the flair! That deer is just dreamy! It's just one of the two pieces of exclusive flair in this kit. Release date is October 1st. Mark your calendars! Sneak Peek Time! A New Classic Card Kit Coming Soon! It's that time again! At Maya Road we're gearing up for another great release that you won't want to miss! This time around we're back with another Classic Card Kit that's perfect for fall, but really...all throughout the year too! Here's just a little peek to kick off the countdown. How about some fabulous chipboard, twine and sweet embellishments? As we said, this is just a tiny peek...the tip of the iceburg if you will. Stop by each day until October 1st, the release date for our Oh Deer Kit as we'll have loads more to share!